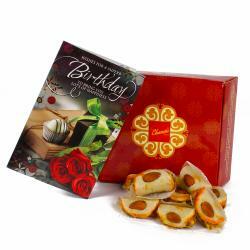 Product Consists : Box of Chandu Halwai Badam Tacos Sweets (Weight : 1 Kg) along with Best Wishes Greeting Card. 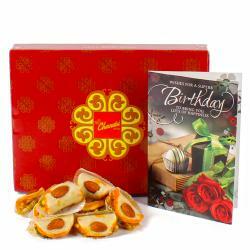 This hamper is specially arranged for Best Wishes along with sweets. Wish good luck and success with this bright and lovely card to your dear ones. Also, we have clubbed this combo with badam tacos sweets. 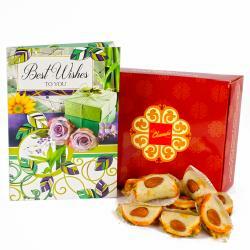 Best Indian dry fruit sweets is badam sweets. It has a lovely flavor sweet in this gift pack. Sinful indulgence for every taste bud, sweets make it special on any celebration. Old bonds get strength at that time a new relationships get formed. 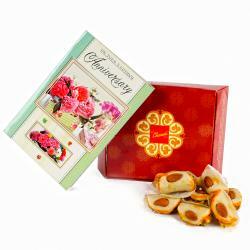 Let us bring happiness to the special one person to whom has filled our world with joy by sending this Badam tacos sweets and card. 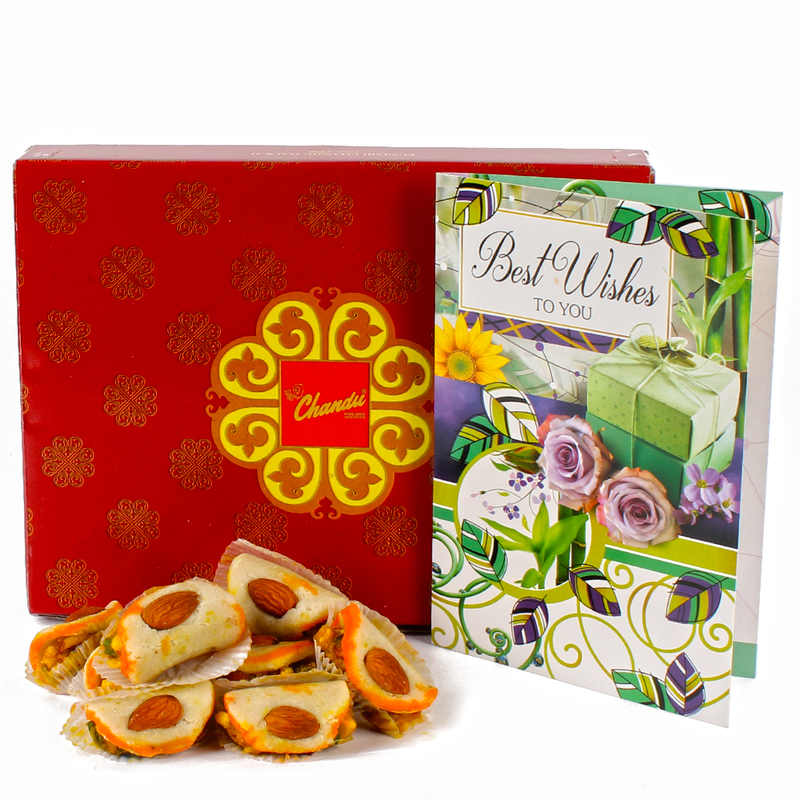 Product Consists : Box of Chandu Halwai Badam Tacos Sweets (Weight : 1 kg) along with Best Wishes Greeting Card.